Welcome to my website! My name is Ryan, a guitarist, singer, songwriter, and producer living in both the Nashville and St. Louis areas. I'm a current student at Belmont University in beautiful Nashville, TN to study commercial guitar performance. I love playing music in all its forms, and it's my hope that I can share this passion of mine with all who will benefit from it. Take a look around this website, and please don't hesitate to contact me anytime using the information found in the "Contact" tab above. Thank you so much for your time and generosity. Born and raised in Columbia, Illinois, Ryan has spent most his life playing shows all over the St. Louis metro area since he first picked up a guitar. Ryan first began playing guitar in grade school at about 11 years old. Inspired by both his brother's hobby of music and guitar virtuosos such as Jimi Hendrix to John Mayer, Ryan spent multiple summers in his basement learning everything he could regarding rock and roll. Then, in summer of 2012, he joined the local rock band Lunar Levitation as lead vocalist and guitarist. This group performed at events and venues all over St. Louis, including the LouFest local talent stage, the Forest Park Balloon Race, and the Fair St. Louis Kidz Stage to name a few events. Ryan parted ways with Lunar Levitation on good terms in the spring of 2013 to pursue original music. Forming Static Life in summer of 2013, Ryan got his first taste of writing music for a band as Static Life went on to release multiple EPs. They appeared on Fox 2 News' "Band in a Box" segment in May of 2014, performing an original song of Ryan's entitled "I Will Try". Building off the release of their debut EP "First Light", Static Life spent much of 2014 into 2015 packing out venues such as Cicero's, the Sky Music Lounge, and the Ready Room to name a few. 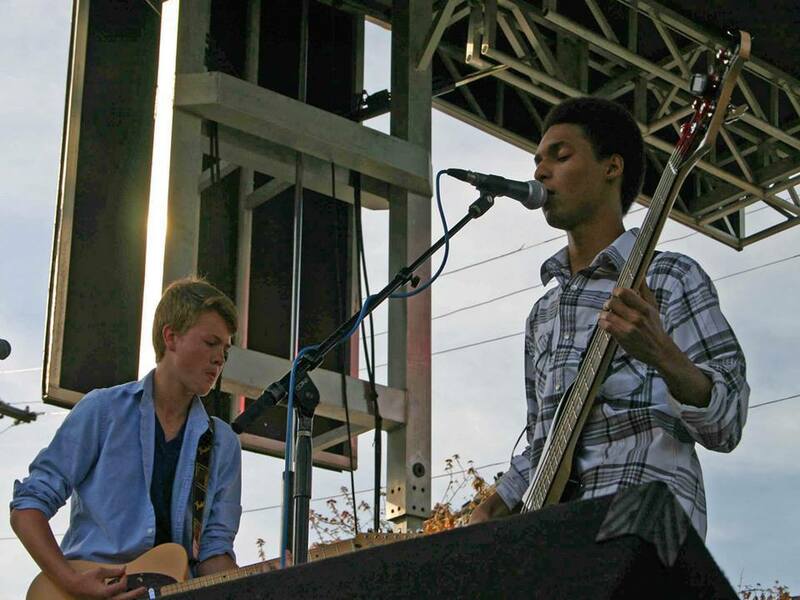 Disbanding Static Life in summer of 2015, Ryan went on to shift his focus towards fine art musical genres such as classical and jazz as he began to prepare for college auditions. In early summer of 2015, Ryan also joined St. Louis gospel/pop ensemble NeXus, who performs at various weddings and events. 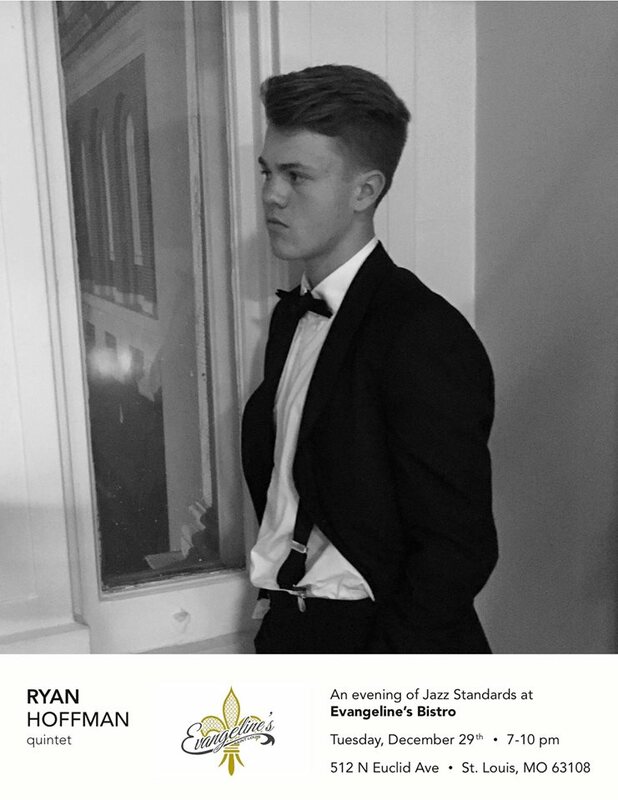 Throughout high school, Ryan began to pickup a jazz vocabulary while he attended Chaminade College Preparatory School in St. Louis. He currently studies with Washington University guitar instructor Vince Varvel. Eric Warren, Rick Haydon, Dave Dickey, Bob DeBoo, Andy Ament, and Kaleb Kirby, as well as many other St. Louis jazz names have helped Ryan to improve his skills in the realm of jazz in recent years. In December 2015, Ryan qualified for the Missouri All-State Jazz auditions on guitar, traveling to Columbia, MO to compete for one spot in the All-State Jazz Band. After a day of auditions, Ryan was rated the number one guitarist and earned himself a spot in the All-State Jazz Band. He went on to spend a weekend in January at the Missouri All-State Festival where he studied with John Clayton, Grammy award winning bassist and jazz composer. In the spring semester of 2016, Ryan auditioned for numerous music programs across the country. He was accepted to New York University as well as gaining scholarship offers from Northern Illinois University, University of Missouri-Kansas City, and University of Loyola-New Orleans. But, in the end, Ryan selected Belmont University to pursue commercial guitar performance on scholarship. Now, you can catch Ryan in the St. Louis and Nashville metro areas performing and writing music year round. He enjoys basketball, running, and seeing shows in his free time. Along with performance, teaching is something that I greatly enjoy. Predominantly, I teach for fun, so I feel that my pricing is very competitive, but does not reflect the value of the lessons. I teach beginner to advanced guitar students and beginner to intermediate saxophone. I charge $10 for half hour lessons, or $20 for hour lessons out of my home location in Columbia, Illinois. I will also drive onsite to lessons at your home or a location of your choosing for an additional charge, depending on location. Contact me by email at ryanhoffmanstl@gmail.com for more information.